Australia Skilled Nominated Visa Subclass 190 is a point-based state nominated Australia PR visa for skilled workers who want to live and work in Australia on a permanent basis. However, an applicant first need to get a nomination/sponsorship from the Australian state/territory, to apply for visa subclass 190. Eligible applicants must obtain a qualifying score of 65 points in the Australia’s Skilled Migration point test. Skilled Nominated Visa Subclass 190 is primarily meant for those skilled workers and trades people who have nominations from an Australian state or territory. 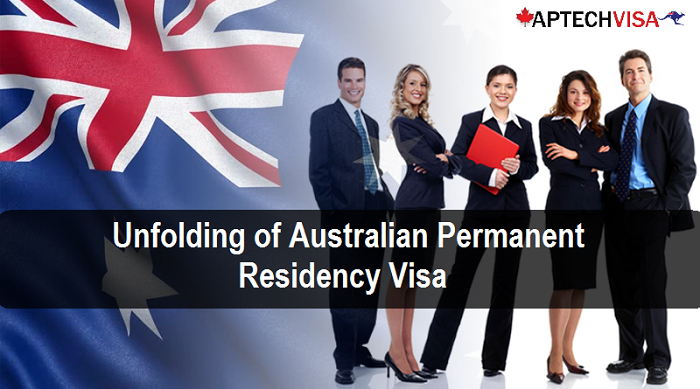 This visa is for applicants who have an occupation in high demand in Australia’s labor market. In order to apply for subclass 190 visa, you first need to choose an occupation from the relevant Australia occupational demand list, after that you need to submit an EOI (Expression Of Interest) through SkillSelect online for confirmation of your visa and subsequently, attain a nomination from a state or territory government agency in Australia. If the Australian government likes your profile, you will get an Invitation To Apply (ITA) for visa subclass 190. You have a minimum time period of 60 days to apply for visa 190 after receiving the invitation. Thus, you are also expected to live for at least 2 years inside the State/Territory that nominated you for visa subclass 190 visa. You also have the right to include the names of some of your family members with visa application. How do I know whether I qualify for the skilled nominated visa subclass 190? To apply for skilled nominated visa subclass 190, it is essential to check whether you are eligible to apply for visa 190 or not? Visa 190 is a permanent visa, designed to attract young, skilled, and experienced candidates to Australia. This is a primary necessity to see if your occupation is listed on Australia’s Consolidated Occupational List or not. This list mentions those occupations which are required in the Australian economy to fill the labor gaps in Australia. You must score at least 65 points in the Australia Immigration point test. The points are awarded for your age, educational qualification, work-experience, skills, language requirements etc. On the basis of your profile, you must have a skill assessment test done by the relevant authority for an occupation listed on Australia’s CSOL. A positive skill assessment test report is required to proceed further. Since this is a state nominated visa, the prime requirement to be eligible to apply for visa 190 is a nomination by state or territory Australian government agency. The nomination is generally given to those applicant who has a high Australia Immigration point score. Language Requirement: You must have competent English if and when you are invited to apply for this visa. Check language requirement for Australia Permanent Residency. Work Experience: You must have at least 2 years of working experience if and when you are invited to apply for this visa. Education: You must be a Graduate degree holder (Equivalent to Australian education standards) if and when you are invited to apply for this visa. Health: You as well as your family members irrespective of them accompanying you to Australia must give health examination test. Character: if and when invited to apply for this visa, you must submit a proof of bearing a good moral character by successful submission of police certificate for each country, each member has ever lived in, for an accumulative period of 1 year or more over last 10 years. Debts: you must have repaid, or have arranged to repay, any outstanding debt to the Australian government. Cancelled Visas: If ever your visa got cancelled or refused while you were still in Australia, you may not be able to apply for visa subclass 190. How to Apply Skilled Nominated Visa 190? This stage requires you to do skill assessment test with the relevant assessing body. Your profile will be carefully viewed by the concerned assessing authority on the basis of your qualification and work experience. Your skill assessment enables the Department of Immigration and Border Protection to judge your required level of skill in your chosen occupation to practice in Australia. At this point you get working experience score on the basis of your work duration. In order to move forward, you must get a positive skill assessment report. SkillSelect is an online software that asks you a number of questions which are related to your education and work background, skills & abilities, and other relevant history. Visa subclass 190 requires you to get a nomination form Australian State/Territory. After submitting your EOI, it will be viewable by the Australian government authorities. Additionally, you will also need to apply for state sponsorship with an Australian state/territory. If the concerned Australian authority likes your profile, you will receive a letter of Invitation to apply for 190 visa. After receiving Invitation To Apply, you can continue to the DIBP stage of the application, where you can submit your final, complete application to be approved by DIBP. Once your application is approved, you will receive your visa and can start your Australia journey thereafter. Note: Priority processing arrangements apply to this visa. They determine the order in which the department considers applications regardless of when they have been lodged. Contact Our Experienced Consultants to Apply Faster! Documents are the stepping stone towards receiving your Australia State nominated visa subclass 190. Your fate is decided solely on the basis of your documents which you submit to support your visa application. The visa decision is hugely made on the information that you provide when you lodge the visa application. Thus, it is highly in your interest to provide as much information as possible. The documents which are submitted along with your application must be scanned and uploaded. There should be no original document attached along with your visa application unless and until you are told to do so by the immigration department. If in a de-facto relationship, provide evidence that you have been in a relationship for at least 12 months. Thus, it is very important to carefully submit all the requisite documents as per the list along with any additional documents as and when asked by the immigration department. A single miss to provide any pivotal document or information, may lead to rejection and delay in processing your visa subclass 190. NOTE:Rules and regulation of Australia Immigration may change at any time without any prior notice. Thus, it is advisable to keep a regular check on the DIBP website as well as stay connect with the experts of Aptech Global. The visa cost may change any time without intimidating. The cost of your visa totally depends upon the date your visa application is received. If there is any price increase in between the date of visa lodgment and the date of receiving visa application, you may need to pay the new application charge. The amount is given in Australian dollars (AUD) that must be paid for a visa application. The fees can be paid online through Debit/Credit card. Thus, if you wish to apply for Subclass 190, you may contact the visa experts of Aptech Global as we are the prominent immigration consultancy dealing in Australia immigration. You can get the complete assistance in regard to Australia PR process, documentation, visa filing, visa follow-up, different visa categories and any other Australia immigration query. How can I Claim Points in Partner Skills? Can 190 Visa Holder Change State? What is an Occupations Ceilings? Thank you for guiding very suitably till the completion of EA evaluation. Team Aptech has been very helpful and patient while dealing my case, They have been providing me with regular updates from time to time and have provided with all the necessary guidance as and when needed. All activities and services were provided on time and in the most professional manner. Thank you.